Today I’m welcoming Andy Paula, author of Love’s Labor. Thank you for stopping by, Andy! All about Andy. . .
Andy Paula is a corporate trainer, an avid reader, a near-passionate blogger, and now, a writer. When she met her editor during the writing of Love’s Labor, she realized how ruthless she may have appeared to all her enthusiastic trainees who nurtured creative dreams. “Never again,” she thought, “am I going to correct another article.” And she proceeded to make corrections in her own manuscript. When she is not making stories in her head, this Thinker does her pranayam and tries to meditate to keep a grip on her wandering mind. It was written! I was always writing for my friends and relatives- their thank you notes, farewell mails, letters for adoption, even love letters, without ever thinking that I would or could make a career out of this. Officially, though, I became a writer when I had no other job! 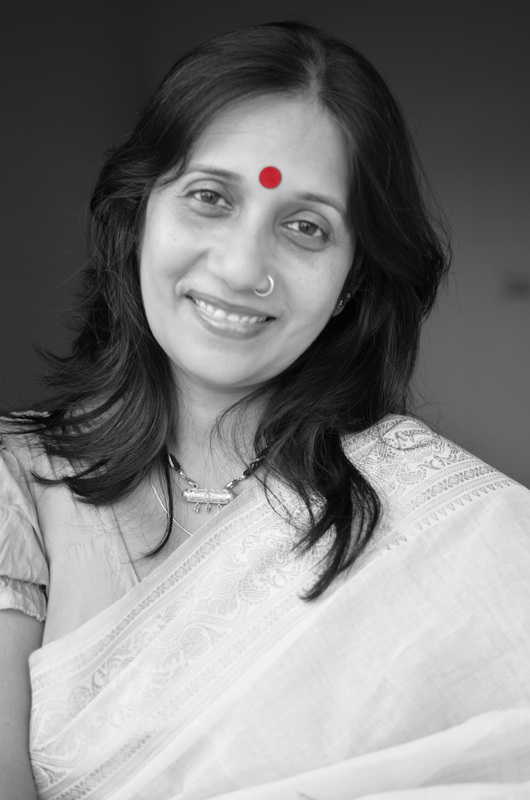 I’d quit my corporate training job in India and accompanied my husband to London on his project. It was there that I discovered the joy of blogging and did it diligently as there wasn’t much distraction in terms of relatives and social commitments. The universe conspired and put me in touch with the publisher of Indireads who was looking for writers from the South Asian diaspora. And my debut novella, Love’s Labor was born. From the time I became aware of things around me, every experience I underwent made me wonder, ‘how will this read in a book?’ or ‘how will this look on screen?’. It’s probably strange for a child to have such thoughts but if you have it, you just have it. So, practically, everything inspires me to write. And this highly romantic thought (I don’t remember if reading Anne Frank did it to me or Emily Dickinson) that when I’m dead and gone, people should find scraps of paper in my study which will go on to become masterpieces! (laughter) The thought of fame, posthumously, is such an inspiration! Love’s Labor only needed the telling, it had happened over a decade ago in my family when it was discovered that a sister had fallen for a man from another community. In the India of those days, an inter-caste marriage was frowned upon and one often heard of rigid parents disowning the ‘offenders’. My sister was put through similar trails, despite the educated family that we were, and asked to choose between her parents or lover. Caught between the Scylla and Charybdis, she disappeared from home one day amidst speculations that she had eloped. Investigations revealed that the lover was very much at home, which then threw my family in a quandary about her whereabouts. I took some creative license with the dénouement to give my story a more desirable end. The rest of the book is real life, as I saw it unfold, in my own extended family. My novella is a tribute to a sister who deserved a better deal than she got. For Love’s Labor, as I said, I did not have to outline because I was a spectator (albeit, mute) to the real-time occurrence. For my next manuscript, yes I have made a framework outlining the characters and the path they are to traverse. Let’s see if I can strictly follow it. Very possibly, my characters will develop a mind of their own and I may be left grappling with their errant ways, struggling to make them behave (smiles). I will know only as I proceed with my writing. This is like asking a mother who her favourite child is! Lemme think…one of my favorites is when Sathya comes to drop Piali home, after they’ve returned from an excursion. This is the first time that Piali’s mother meets him and she reads at once, with a mother’s instinct, that her daughter has lost her heart to this young man. She finds him dashing but also knows that her husband will not approve of the alliance because Sathya is from a different community. Mrs. Roy knew at once when she saw Piali and Sathya on their return from Panchgani. Coincidentally, they lived within a 3km radius of each other and Sathya had insisted on dropping Piali home. When they reached her house, he wanted to meet her parents. Piali was petrified; Sathya assured her he would meet them as her colleague, for the time being. Mrs. Roy saw the way her daughter looked at the young man and blushed in his presence. Quite a dashing man, this fellow, she thought. As she led them into the drawing room, she observed the chemistry between the two and her heart sank. Piali had introduced her ‘colleague’ as Sathya Nair, the school chairman’s son and her colleague. Mrs. Roy knew about the family. Piali’s father would never agree. She knew her husband. She had been married to him for over twenty-five years; his beliefs were nonnegotiable. Mr. Piyush Roy, a government officer, was a traditional man, very progressive where his children’s education was concerned, very conservative when it came to their marriage. He had stopped talking to his elder brother when the latter married a girl outside his community. Mrs. Roy was proud of her husband’s convictions, his integrity, but she knew Pia found his stance on love regressive. “Where’s your dad?” Sathya whispered as soon as Mrs. Roy went inside. Mrs. Roy came back with home-made snacks and juice for the two. Elegant in her starched tant sari and a big sindoor bindi, she filled up the room with her presence. “The best trip of my life, aunty!” Sathya smiled. Piali tried to put on a nonchalant look. “We won the Best Team trophy, too! Piali was a great team leader,” Mrs. Roy beamed with pride. In all her phone calls from the camp, Piali had never gloated about her role but then, she always knew she had an intelligent and capable daughter. In Mumbai, where the group halted for a day, the lovers finally found time to talk about themselves, their families, and the future they wanted. If the Panchgani air had brought out the romantic in Piali, Mumbai brought out her filmi side. Sathya saw in her a young adult who enjoyed the regular things of life; in her denims, check shirt and sneakers, she hardly looked the serious teacher. As for Piali, she had found her life’s hero in Sathya. In that short span, she lived her life to the fullest with him; she had never felt so alive before, so full of mirth and such gay abandon. When Sathya got up to leave Piali found herself tossed back into the present. After the last week’s togetherness, she couldn’t think of staying away from him but they were back home. How would they meet? Where? In this small town, everybody knew everybody. Being a teacher made her all the more ‘famous’. If she were not bumping into students, she would be meeting their parents; there was no privacy, no secret would remain a secret in this township. God! How and when could they meet? She left for school at 7 every morning and was back by 2.30. She took the school bus and everybody in it knew her stops; she could neither board nor get off the bus earlier or later without arousing suspicion. If Sathya picked her a little distance from her stop, they could be together for a while but ma would be waiting for lunch and she could not make ‘extra class’ excuses every day. Anyway, ma had the uncanny knack of knowing her innermost thoughts. While it was a commendable trait in a mother, it could become a major impediment in Piali’s love life. She would sense foul play immediately. Foul play! The term made the world’s loftiest emotion seem like a crime. I like the juxtaposition of love and realism in this scene. The lovers are back to their home-town and subject to scrutiny; the mother is caught in the vortex of being a mother and a wife; the lover wants to meet the girl’s father; the girl is positive that such a meeting will have disastrous consequences; the father is not present but has already made his presence felt as a despot- the scene palpitates with life, there’s a medley of emotions in there. Two goals if you permit- the Utopian one of having the freedom to share philosophy with my readers without being told by the editor to keep my philosophies character-specific. “Love teaches you to lie” is universal. For now, I’d to make it, “Love had taught Piali Roy to lie.” How limiting is that! C’mon, everybody lies in love. Who has not told at home they’re going over to a friend’s for home-work when they were out with the special someone? Or blurted out it’s a classmate’s call when, very evidently, it was the lover’s? Why make it specific to a character? And my Epicurean goal is I’m sitting in Starbucks, sipping my coffee and there’s this group of youngsters who go, ‘Wow, Andy Paula!’ This image always makes me smile. And I’ve been caught smiling sheepishly a lot, lately. 7. Who is the one author that you would love to meet someday and why? I’d love to meet Maya Angelou. She’s someone whose writings resonate with me- the honesty, the struggle, the triumph- all so palpable, so legendary! And although I’ve made my debut as a fiction writer and may remain so for a while, I see myself graduating to her kind of writing, and learn – if such things can be learnt – her fearlessness and transparency in her words, her ability to lay bare her Soul. Love’s Labor is a story about Piali Roy, an English teacher, & Sathya Nair, an animator, who are brought together by circumstances, and despite behavioral and communal differences, end up falling in love. All very well. What is not is the reaction of the two families, and a third’s. That of the girl’s who Sathya was slated to marry, when Piali took his life by storm. 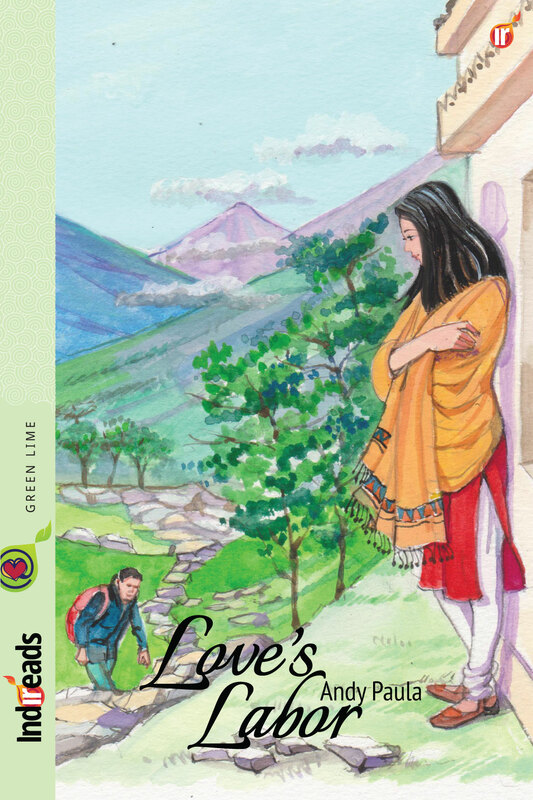 Set in various towns of India – a couple of hill-stations thrown in for good measure – Love’s Labor, a tale spanning over two years, leads you through the maze of tradition, culture, love and rebellion. The various locales that the protagonists travel to and the people they meet make for interesting read. The introspection that the characters indulge in & the transformation that brings about gives Love’s Labor its cutting edge. In the end, will the lovers make it? Or, as time rolls, will they succumb to the time-honored customs that are so much a part of their upbringing? In a country where society is held above the individual & collective laws more potent than human dreams, the cookie could crumble either way.